According to the latest official figures, 280 people were killed and more than 1,000 injured, when a tsunami suddenly hit coastal cities and beach resort towns adjoining Indonesia’s Sunda Strait at 9.30 p.m. local time on Saturday. The official death toll is expected to rise over the next days. At least 57 people are missing and rescuers have still not yet been able to reach all the affected areas. The disaster came just three months after an earthquake and tsunami struck Palu City on the island of Sulawesi on September 28, killing over 2,500 people and engulfing hundreds of homes in deep mud. Saturday’s tsunami struck without warning at the height of the Christmas holiday long weekend. It destroyed hundreds of homes, businesses, and at least nine tourist hotels and other buildings. 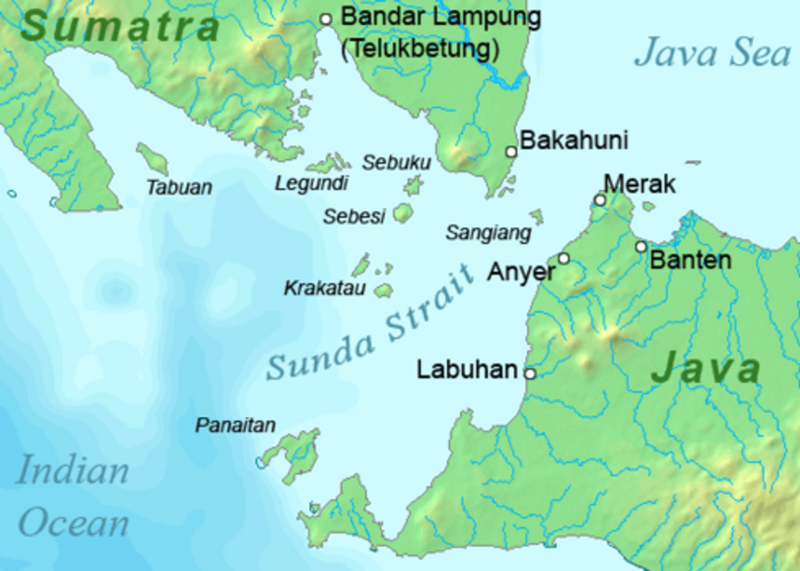 The Pandeglang region of Java’s Banten province near Jakarta, along with South Lampung settlements in Sumatra, were among the worst affected areas. Splintered wood, concrete, bricks and other broken building material lie scattered along the coast and the now deserted villages and towns. Thousands of people have been rendered homeless. Survivors have posted photographs and video on social media of upturned and badly damaged vehicles and boats, and debris-laden water smashing into homes and other buildings. Many of those killed were tourists, thought to be visiting the popular beach resort area of Pandeglang which also encompasses a national park. Frightening footage of a beachside concert by “Seventeen”, a local rock band, shows a massive wave demolishing the concert platform and sweeping away the band and audience members. This 22 December 2018 video from Infonsia shows the tsunami engulfing the band Seventeen’s concert. The concert was part of a holiday retreat for workers and their families from PLN, Indonesia’s national electricity company. The rock group has released a statement saying that their bass player, guitarist and road manager were killed and that two other band members and the wife of one of the performers were missing. A spokesman for Indonesia’s National Disaster Mitigation Agency (BNPB) said that many victims were trapped under collapsed buildings, and that heavy machinery would be required to help with search and rescue efforts. However, as of Monday morning, the much-needed machinery had yet to be sent to all of the affected areas. Geophysicists suggest that the tsunami could be the result of a major landslide, above or below the water line, at Anak Krakatoa (Child of Krakatoa), a 300-metre high active volcano in the Sunda Strait. This is believed to have pushed a huge wall of water across the strait, which, at its narrowest, is only 24 kilometres wide. Anak Krakatoa, which emerged from the caldera of Krakatoa about 90 years ago, is one of the country’s most active volcanoes. It has been erupting since June and did so a day before the tsunami. According to a BBC report today, it is still erupting, raising fears that another tsunami might be imminent. Earthquake geologist and University of Michigan professor, Ben van der Pluijm, told Reuters that the “instability of the slope of an active volcano can create a rock slide that moves a large volume of water, creating local tsunami waves that can be very powerful. This is like suddenly dropping a bag of sand in a tub filled with water,” he said. The apparent absence of an earthquake, and thus seismic data, only partially explains the absence of any tsunami warning. In the wake of the devastating 2004 earthquake and tsunami that claimed an estimated 230,000 lives in the Indo-Pacific, most of them in Indonesia, major powers pledged to help set up an early warning system to ensure such a catastrophe would never happen again. The early warning system was to link global seismic detection centres, with a system of buoys and sensors that could detect water movements characteristic of tsunami. Various land-based systems were then supposed to be built to sound the alarm. Even if the weekend’s tsunami was not triggered by a quake, the buoys and sensors should have been in place to provide an early warning. Clearly that was not the case and the victims had no time to react to the wall of water that engulfed them. Indonesia’s National Disaster Management spokesman Sutopo Purwo Nugroho admitted in September this year, following the Palu disaster, that the country’s warning system was inadequate. The network of 22 hi-tech buoys has not been working since 2012 due to the lack of funding. As a result, the warning system relies on some 134 tidal gauges which are limited in their ability to provide advance notification. Whether there were any working sensors in the Sunda Strait last weekend is not known at this stage. Indonesia has 130 active volcanoes and its location in the Pacific “Ring of Fire”—an arc of intense seismic activity that stretches around the Pacific and includes the whole Indonesian archipelago—means that earthquakes and volcanoes are a fact of life. The devastation caused by what are termed natural disasters is compounded by the poverty that is rife throughout the region. Many people are compelled to live in makeshift housing, often close to the sea, that leaves them vulnerable to tsunamis and quakes as well as typhoons that are also common. The Indonesian government certainly bears a large measure of responsibility for the latest tragedy. The lack of proper infrastructure, inadequate warning systems and poorly funded rescue and relief services are testimony to the indifference of the government and the ruling class to the lives of millions of working people. The major powers, which exploit countries like Indonesia as cheap labour platforms, also bear responsibility for the lack of resources for warning systems and disaster relief. The promises that were made after the 2004 catastrophe have proven worthless. Following the weekend’s tsunami, political leaders around the world have been shedding crocodile tears for the victims. US President Trump described it as “unthinkable devastation”, adding: “We are praying for recovery and healing. America is with you!” What will follow, however, is a pittance in aid, if anything, and the tragedy will be quickly pushed aside in the world’s capitals. 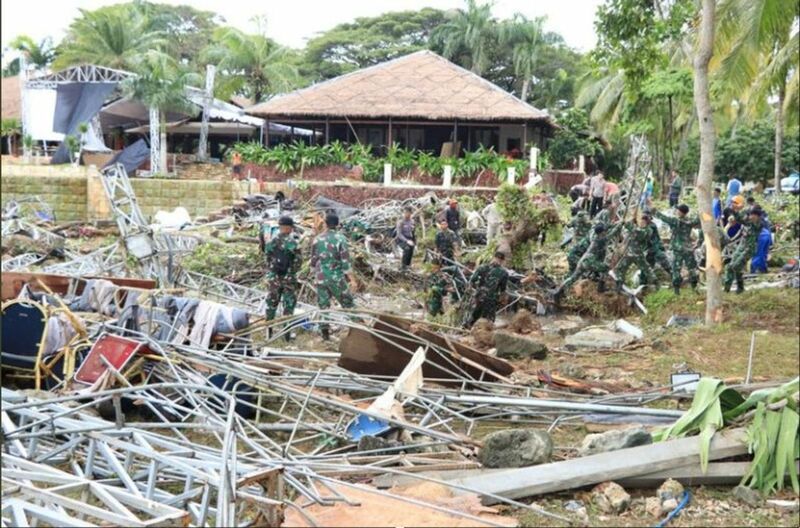 The death toll from the Sunda Strait tsunami disaster continues to rise. The Indonesian National Board for Disaster Management (BNPB) announced yesterday that at least 429 people have been killed, over 1,480 injured and more than 150 remain missing. Thousands of homes and over 70 hotels and 60 shops were heavily damaged or destroyed: here. This entry was posted in Disasters, Human rights and tagged Indonesia by petrel41. Bookmark the permalink.